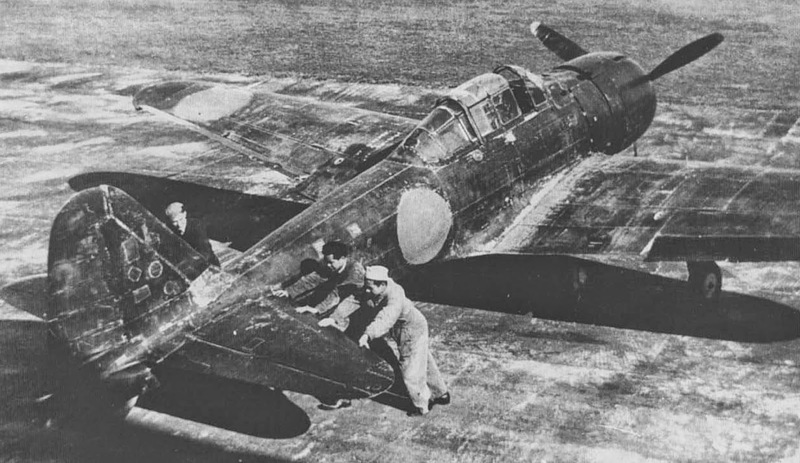 The A6M2 was the first mass produced version of the famous Mitsubishi Zero (Zeke) fighter. 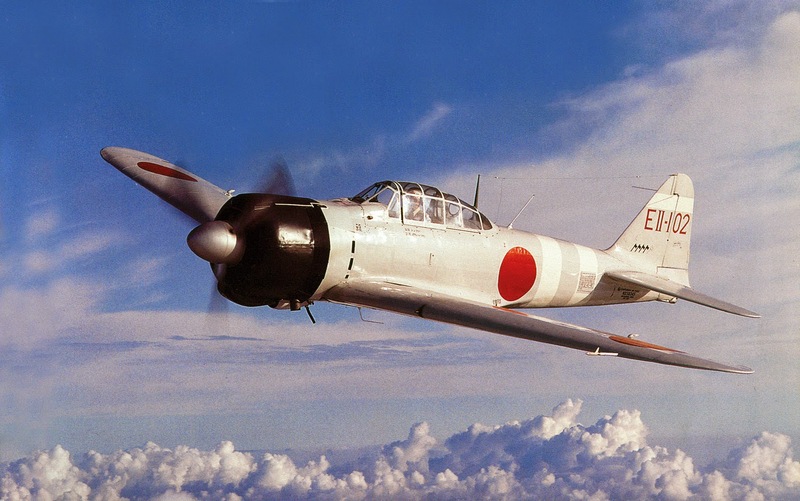 It was the front line Imperial Japanese Navy fighter in service during 1941 and 1942, operating from IJN aircraft carriers at Pearl Harbor, Coral Sea and Midway. In the latter part of 1942 the improved A6M3 Zero began entering service with front line fighter squadrons and A6M2's were increasingly used as ground attack fighters. Late in the war, surviving A6M2's were expended as Kamikazes. Based on Japanese experience fighting in China and Manchuko, often against highly maneuverable Soviet I-15 biplane and I-16 monoplane fighters, Japanese fighter pilots came to regard extreme maneuverability as a fighter's most important quality. 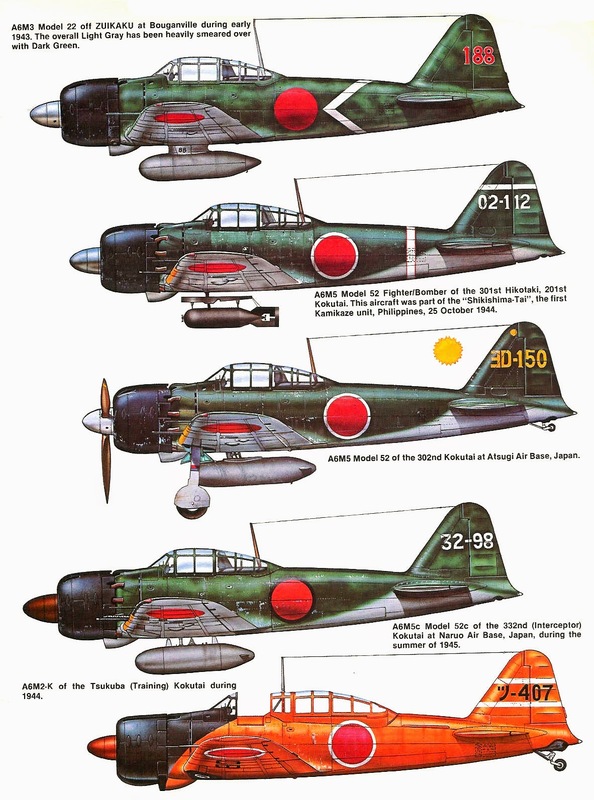 When the IJN started looking for a modern successor to the A6M5 (Type 96), they demanded a fast, long range, heavily armed and yet highly maneuverable replacement. Mitsubishi met this difficult requirement with the extraordinary Zero, even though Japanese aero engines were less powerful than those available in the US, UK and Germany. Aerodynamically "clean," the streamlined Zero boasted a closely-cowled radial engine with a large propeller spinner to reduce drag. (These features were also used by Kurt Tank for the FW 190.) It was a beautiful airplane, one of those designs that just look right. 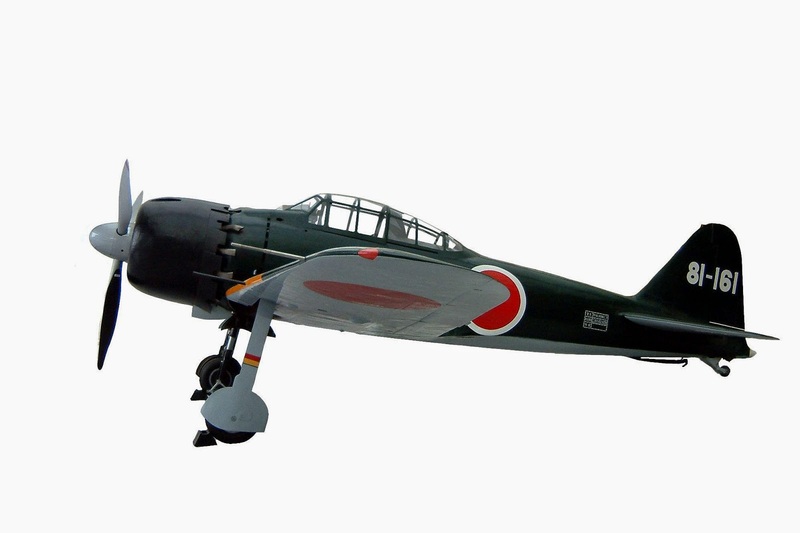 At its introduction, the A6M2 was the world's first long range, single seat fighter. The early A6M2 Model 11 had fixed wing tips, but the subsequent Model 21 had folding wingtips to increase the clearance on Japanese aircraft carrier elevators. The A6M2 was heavily armed with two .303 (7.7mm) machine guns and two 20mm cannon (the former in the cowl and the latter in the wings). Along with the Bf 109E, the Zero was the most heavily armed fighter of its time and introduced the use of cannons in fighter planes. It was also respectably fast for 1940, with a top speed of 331 MPH. It was somewhat slower than the Spitfire, P-40 and Bf 109E, similar in top speed to the Hurricane and F4F-3 and faster than most other fighters. The Zero was the fastest carrier borne fighter of its time. Perhaps more important, it had very good acceleration. Due to its light weight, large wing area, low wing loading and big ailerons, the Zero was more agile than any contemporary foreign fighter. The initial climb rate was very good and the Zero could climb at a very steep angle, unmatched by contemporary fighters. The sustained climb rate was good, better than the US fighters in service at the beginning of the war, but inferior to that of the more powerful Messerschmitt Bf 109E. Opponents who survived quickly learned from bitter experience not to attempt to turn with a Zero. Other excellent features included a roomy cockpit, greenhouse canopy that afforded good all-around visibility and wide track landing gear. One peculiarity was that the gun selector and firing switches were on the throttle lever, rather than the joy stick. However, in order to satisfy the IJN's demanding specification, some severe design compromises were necessary. An extremely light weight structure was the only way to provide the range, speed and agility required with the available power plant. The most prominent sacrifice to reduce weight was a complete absence of pilot protection. Unlike the Wildcat, the A6M2 airframe was very lightly constructed and no pilot armor or self-sealing fuel tanks were incorporated in the design. Early in the war, even the radios were removed from Zeros in the field to reduce weight! The Zero's performance was its pilot's only protection. This was fine with most Japanese fighter pilots in 1940/1941, when the Zero handily out performed the Allied fighters it met, and it suited their offensive spirit. However, when Allied fighter performance caught up with the Zero, pilot losses increased dramatically. In order to keep the loaded weight down, only 120 rounds of 20mm cannon ammunition (60 rpg) was carried, so there was a premium on accurate gunnery. To partially compensate, a generous 1360 rounds of 7.7mm machine gun ammo (680 rpg) was provided, but it was very difficult (verging on impossible in the case of a Wildcat) to shoot down most Allied fighters with just two .303 caliber MG's! Perhaps the A6M2's biggest performance weakness is that its controls become stiff and unresponsive at speeds above about 180 knots. This is a real consideration for a Zero bouncing an enemy aircraft from above. Pull back the throttle in a dive to control your rate of descent, or you may have a close encounter of the fatal kind with Mother Earth. The lightweight airframe and thin gauge duralumin skin was quite susceptible to damage and the latter limited the maximum diving speed. The unprotected gas tanks made the A6M2 easy to set on fire. Unlike most WWII fighters, the Zero is fairly easy to shoot down with .30-.32 caliber machine guns, such as carried by the Mk. I versions of the Hurricane and Spitfire. A well placed burst from the .50 caliber guns of a Wildcat could quickly flame a Zero.